VATICAN CITY (CNS) — Fear and the shame of admitting one’s own sins leads to pointing fingers and accusing others rather than recognizing one’s own faults, Pope Francis said. “It’s difficult to admit being guilty, but it does so much good to confess with sincerity. But you must confess your own sins,” the pope said Jan. 3 at his first general audience of the new year. “I remember a story an old missionary would tell about a woman who went to confession and she began by telling her husband’s faults, then went on to her mother-in-law’s faults and then the sins of her neighbors. At a certain point, the confessor told her, ‘But ma’am, tell me, are you done?’ ‘No… Yes.’ ‘Great, you have finished with other people’s sins, now start to tell me yours,'” he said. 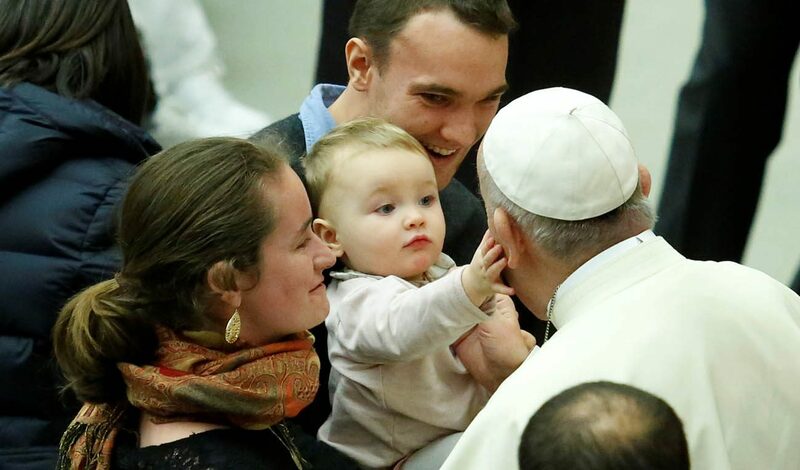 “Listening to the voice of conscience in silence allows us to realize that our thoughts are far from divine thoughts, that our words and our actions are often worldly, guided by choices that are contrary to the Gospel,” the pope said. Confessing one’s sins to God and the church helps people understand that sin not only “separates us from God but also from our brothers and sisters,” he added. The penitential rite at Mass also includes asking the intercession of Mary and all the angels and saints, which, he said, is an acknowledgement that Christians seek help from “friends and models of life” who will support them on their journey toward full communion with God. Christians also can find the courage to “take off their masks” and seek pardon for their sins by following the example of biblical figures such as King David, Zacchaeus, the Samaritan woman and St. Peter.